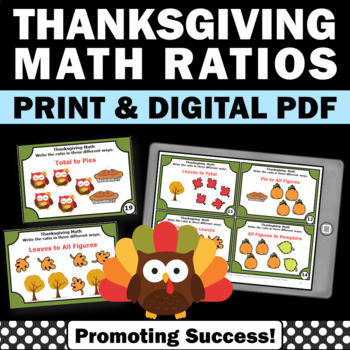 Your 5th or 6th grade students will practice writing ratios in three different ways. 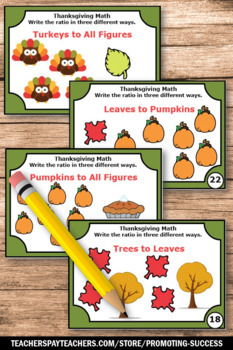 They will examine the adorable owls and write the ratio represented in three different ways. 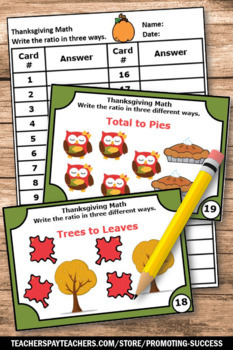 There are 30 Thanksgiving math task cards, a student response form and answer key. 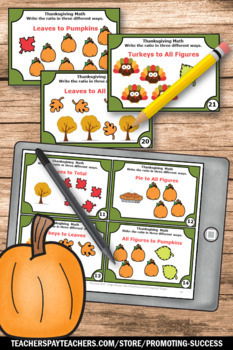 Task cards are a fun alternative to worksheets. These task cards may be used in math centers or stations as a scavenger hunt game, SCOOT, SCATTER, independent work, game board cards and more. Students love movement in the classroom, and brain research tells us movement increases achievement. ClickHERE to go back to our store homepage. Remember, you may NOT post any products on school websites or online anywhere. All products are for single buyer use only and not for commercial use.